You will find a warm friendly welcome at this family-run business which is my favourite in the marina. Their website says, “Enjoy great food, good company and entertainment in a stunning location. Visit us once and we are sure you will come again!”. I won´t disagree with that. “We offer a full range of bottled beers, ciders and soft drinks plus all leading makes of spirits. For a special treat try our home-made sangria! 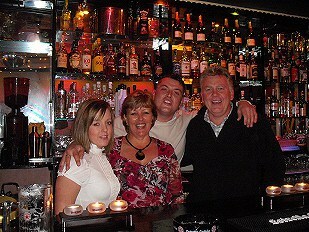 The bar is also available for private parties and functions”. Call in for details. They are also the official waiting room for Pirate Parasail and have 3 plasma screens showing Sky Sports and ESPN. However, for me the real attraction is that one can enjoy uninterrupted views of the marina just literally inches away from the bar’s terrace. Enjoy!